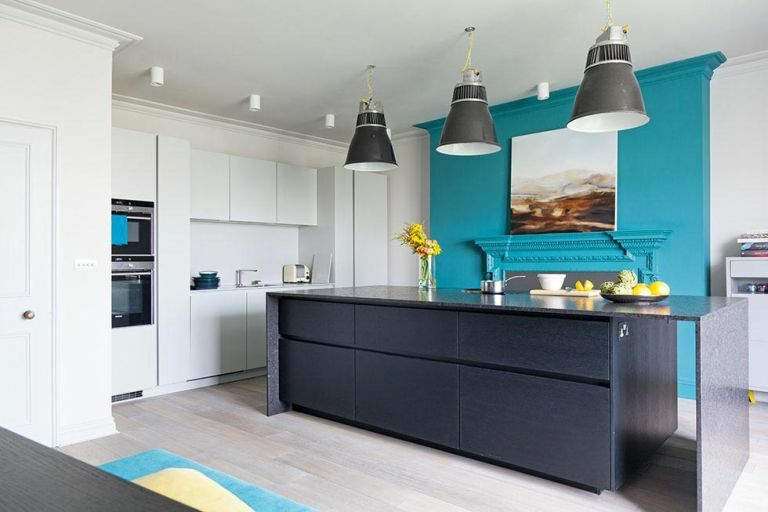 Be inspired by our kitchen case studies to come up with the best design for your new kitchen: this contemporary kitchen redesign is amongst our favourites. When Catherine Smith and partner Simon Woplin’s bought this coastal regency townhouse, it ticked almost all of their boxes. One major problem was the state of the kitchen, and where it was in the house. Catherine used her interior design expertise to move the existing kitchen into the front drawing room – almost doubling its size. ‘Planning the kitchen was an easy process,’ she says.